Watch Roman Harper play in the Super Bowl from his couch. 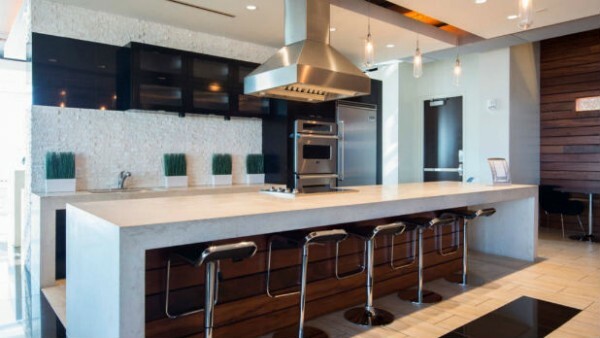 For football fans who dream about living the life of a pro athlete, Carolina Panthers safety Roman Harper has the perfect Super Bowl offer: Watch the big game in the comfort of his own luxury apartment. You and a guest can enjoy high-rise views of Charlotte, North Carolina, and watch the game on his 70-inch TV. Harper partnered with Airbnb to share his home, while he stays with another host in San Francisco. He does, however, have a few stipulations. There is a maximum of just two guests permitted in the apartment. And according to the listing, no pets are allowed, “especially Broncos.” But the perks are undeniable. Among the building’s amenities are a 24-hour staff, a basketball and tennis court, outdoor junior Olympic pool, health club, and a private HDTV screening room with surround-sound if you want to watch a movie after the game. The price tag is steep, at $5,000 for one night, but the money will be donated to Harper’s Hope 4 1 youth development charity. Airbnb will also match the amount with its own donation.